Volunteers are one of the driving forces behind the efforts of the library. Volunteer opportunities provide a vital point of connection between the community and our Library family. Duties of library volunteers include offering support at events, maintaining neat shelves and serving as staff support. Volunteer applications are available at the main branch. 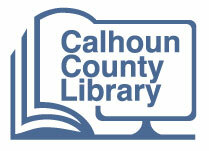 Opportunities are available for those ages 12+ For more information, call the Library at (803) 874-3389.